The Greenwich Hospital Association dates from a meeting in March 2, 1903 to discuss building a hospital in the heart of the borough. Presiding was A. Foster Higgins, a founder of the Greenwich Gas & Electric Lighting Company, and four other prominent citizens: Edward Brush, William Hall, Herbert B. Stevens and George Lauder. Within days, the Connecticut General Assembly granted the GHA a charter of incorporation. The legislature also granted $25,000 payable once the hospital had raised $75,000 privately. In the spring of 1905, the GHA paid $52,250 for the “Octagon House” on Milbank Ave., which eventually became the new hospital. Drs. 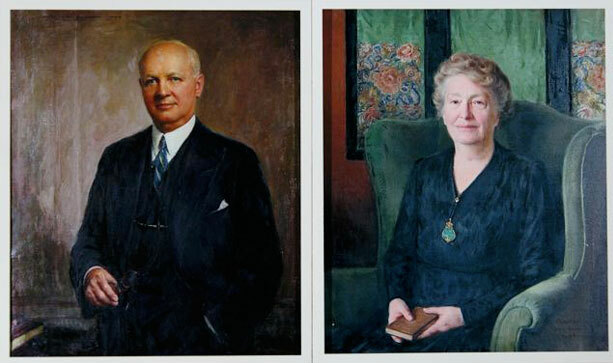 Fritz and Harriet Baker Hyde were the driving force behind the founding of Greenwich Hospital. 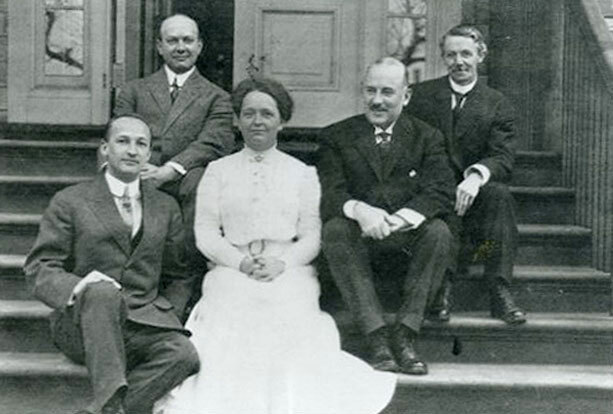 Graduates of the Medical Department of the University of Michigan in 1900, both settled in Greenwich, where Harriet's mother lived. They married in 1901 and established private practices in town. The Hydes' skills and determination set the hospital on a path of excellence that guides the hospital to this day. 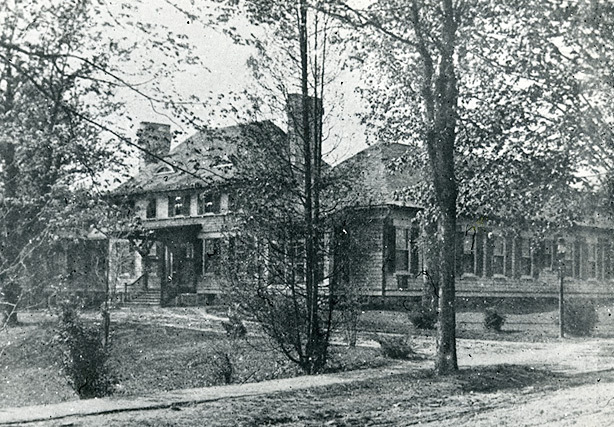 The new 24-bed hospital on Milbank Avenue opened its doors on Sept. 12, 1906. Formally named Greenwich Hospital, it became known as the Milbank Avenue Hospital. In addition to the Hydes, Drs. Charles Smith and John B. Solley comprised the attending medical staff. The hospital's professional team also included: a head nurse, a matron, ten consulting doctors, a graduate assistant and seven volunteer student nurses. The first year saw the treatment of 170 patients, most occupying multi-bed wards. Included in that first-year total were 47 private-room and ten maternity patients. These modest beginnings gave little indication of the shape and size of things to come. Dr. Harriet Hyde proposed a solution for hiring a reliable corps of nurses. She suggested creating a nursing school, an idea the board readily endorsed. 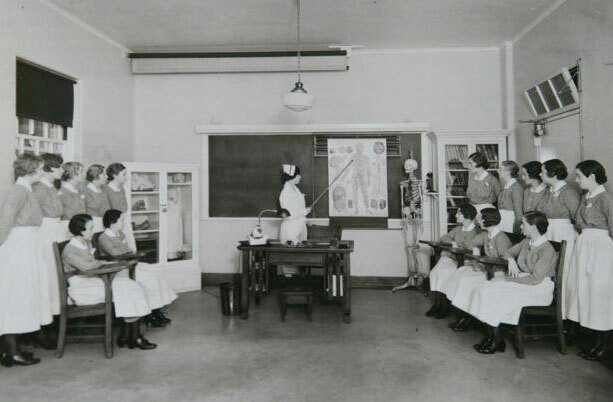 By July 1907, the school would offer a first-rate education while providing the region and the hospital with a constant supply of well-trained nurses. The first graduating class of two students received diplomas on May 1, 1909. 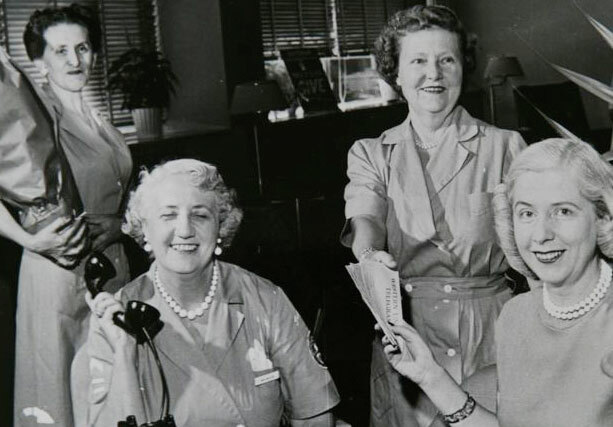 Over the years, the School of Nursing provided the hospital and the community with reliable and compassionate care. Although the nursing school closed in 1975, Greenwich Hospital remains committed to furthering the education of nurses. Greenwich Hospital offers staff opportunities for advanced training, mentoring programs and tuition reimbursement. 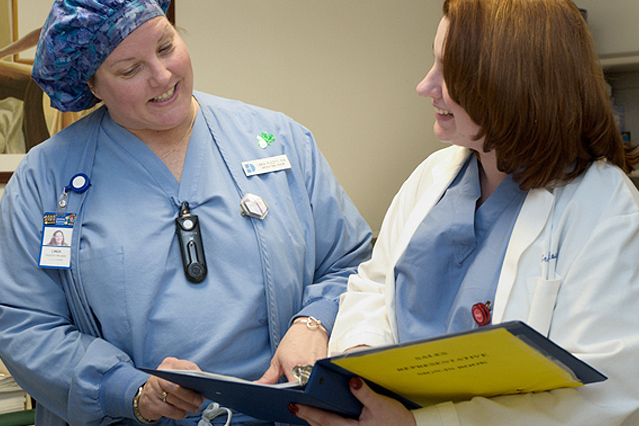 Many nurses pursue advanced graduate degrees and certification in their specialty, such as oncology, critical care or surgery. The hospital also supports expanded nursing education opportunities for interested students in the local area. Greenwich's steadily growing population topped 16,000 in 1910. 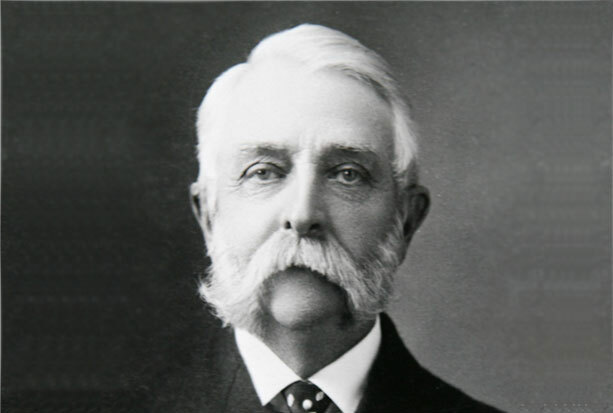 In August 1914, Commodore Elias C. Benedict purchased land on Perryridge Road and announced that he would donate $250,000 to construct a new hospital. His proposed 90-bed facility would include 23 private rooms, 3 semi-private wards, a 10-bed maternity ward, a nursery, two fully equipped operating rooms, a dispensary, library, laboratory, and X-ray room. Construction delays caused by the advent of World War I postponed the opening of the new hospital until October 1917. 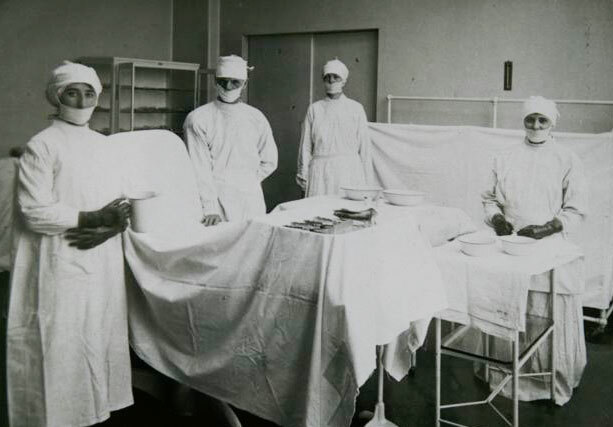 In 1918, however, it was ready to offer critically-needed service during a nationwide flu epidemic, demonstrating its value to Greenwich in its very first year of operation. A corps of volunteers has consistently worked at Greenwich Hospital since it opened in 1906. 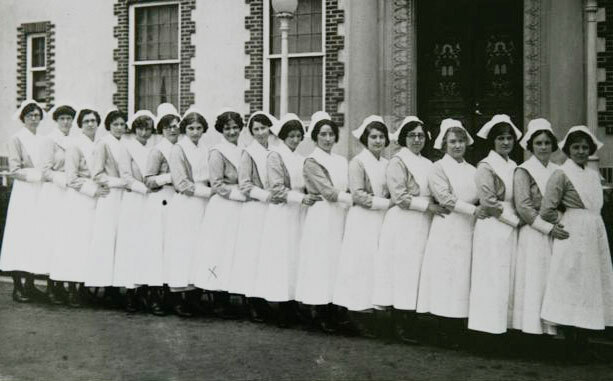 The history of the hospital is inseparable from that of its original Women's Committee (1907-1910) and its successors, the Women's Board (1911-1949) and the Greenwich Hospital Auxiliary, which started in 1950. Dr. Harriet Hyde led the legendary “Nine Determined Women,” the core of the original Women's Committee and subsequent Women's Board. These volunteers dedicated themselves to the efficient upkeep of the hospital and later raised money for the general maintenance fund. The Board started a thrift shop in 1921, which made a profit in its first year of operation. 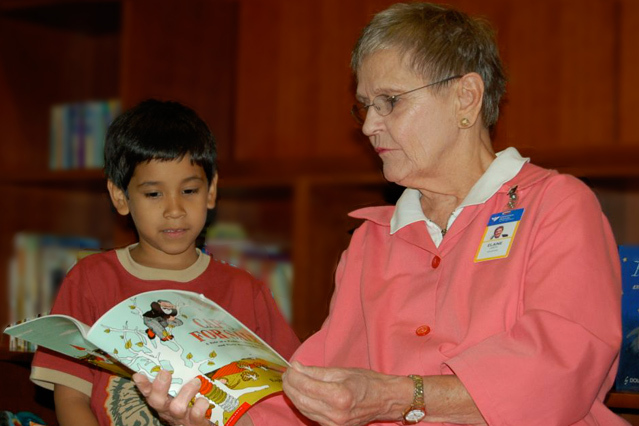 Volunteer activities changed dramatically over a period of 30 years. By the late 1940s it was apparent that recruitment of volunteers should be opened to the entire community. In January 1950 the Women's Board was folded into the new Greenwich Hospital Auxiliary, which offered membership to all. Today, the Greenwich Hospital Auxiliary continues supporting the hospital through the work of its volunteers and financial contributions. 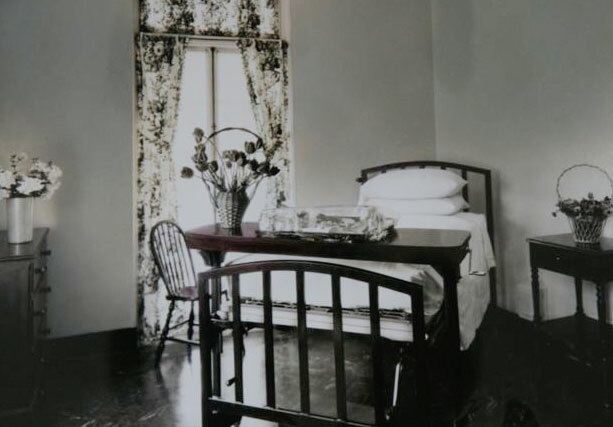 During the 1920s, the nurses' quarters moved to a new campus location to release needed space for patients. 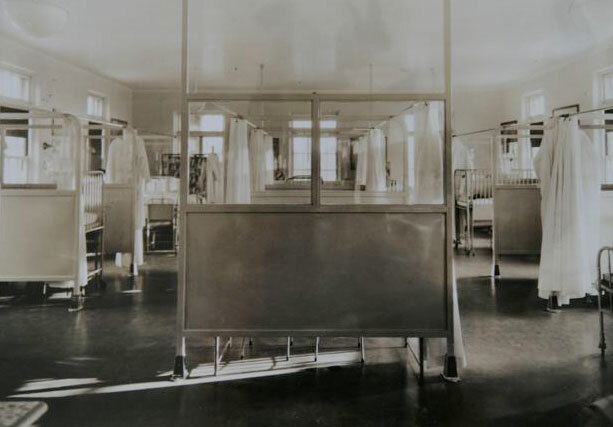 More operating rooms were added in 1930 and an outpatient center in 1934. Expansion continued in 1932 and again in 1940 to meet patient demand. By 1940, with 3,127 admissions, the hospital finally outgrew its building. A generous gift of $500,000 from Mrs. Henry Walker Bagley initiated a new campaign for a much larger hospital. The next year, 1941, the community matched Mrs. Bagley's contribution and preparations were made to construct a new building. World War II, however, put an end to those plans. 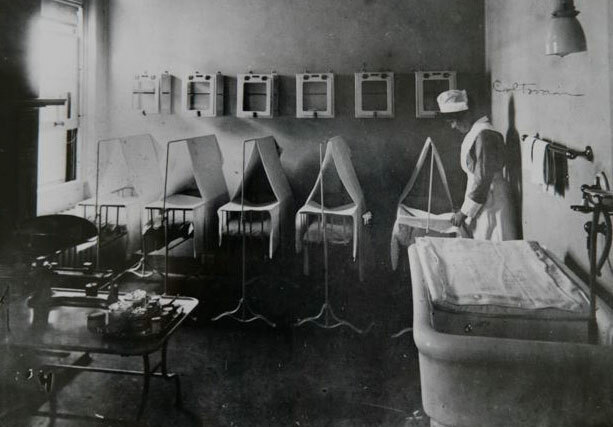 By the end of the war, astonishing advances in medicine made an even larger and more complex hospital necessary. Despite spiraling inflation that boosted the new building's cost to $4.75 million, a loyal community saw it through to completion. 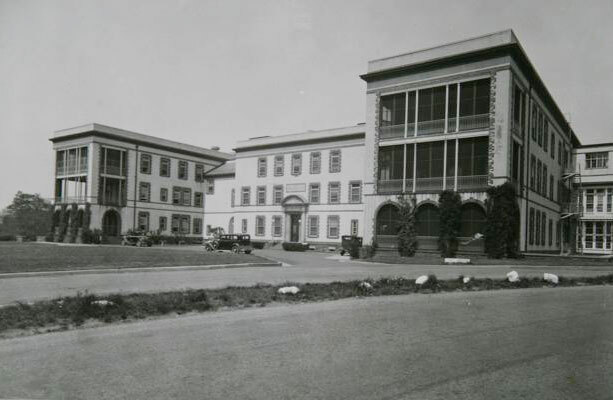 They broke ground in 1949 and the hospital was dedicated on May 5, 1951. 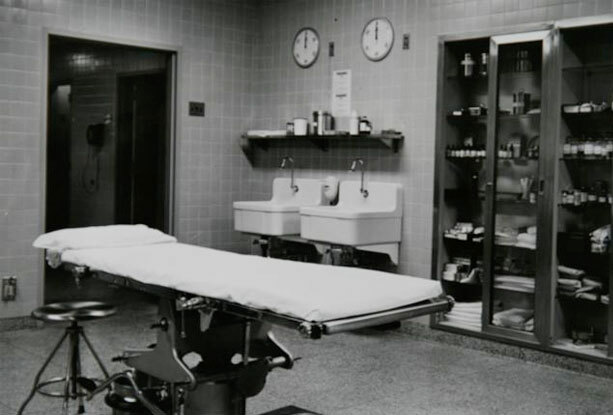 In 1963, the pressure for more patient rooms and expanded facilities spurred construction of the South Wing, quietly financed by a few supporters of the hospital. 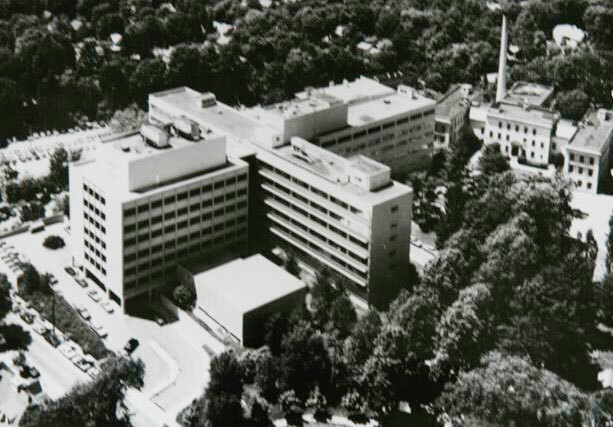 Dedicated in November 1965, it added 80 patient rooms to the existing 245 and larger space for radiology, physical medicine and social services. Medicine had advanced at a remarkable pace by 1978. A successful $10.5 million community fund drive enabled the hospital to build a Northwest Wing and meet new standards of state and national accrediting agencies. It was the third time since 1906 that the community had generously responded to the hospital's needs. To stay competitive in a changing healthcare market, Greenwich Hospital joined the Yale New Haven Health System in 1998. Greenwich is now a regional teaching hospital, affiliated with the Yale University School of Medicine and representing all medical specialties. In 1992, with new services and changing community needs, Greenwich Hospital launched a $60 million capital campaign for a new building. The Leona and Harry B. Helmsley Medical Building opened in October 1999, and the Thomas and Olive C. Watson Pavilion in October 2006. Greenwich Hospital entered a new era of caring and service, and continues to serve the lower Fairfield and Westchester County region. 1923 Greenwich Hospital’s laboratory is the first in Connecticut inspected by the State Department of Health’s Inspection and Approval Program. It passes unconditionally and remains to this day the oldest approved continuously-operated laboratory in the state. 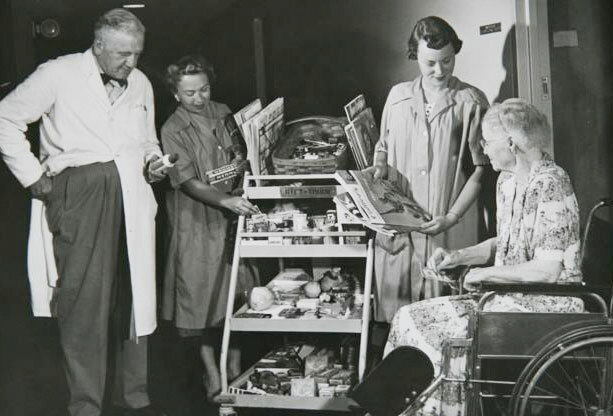 1952 Greenwich Hospital’s disaster preparedness plan is among the first developed by a hospital in Connecticut. 1954 An arthritis clinic, the first in southeastern Connecticut, opens at Greenwich Hospital. The clinic is designed to help staff recognize the symptoms of arthritis in its early stages and to begin treatment. 1964 One of the first successful prenatal transfusions to treat Rh incompatibility carried out anywhere in the world is performed at Greenwich Hospital. 1967 Greenwich Hospital acquires a portable cardiac monitoring device that can be attached to a patient to provide continuous EKG readings of a patient’s heart over a span of several hours. It is one of only two such systems in the state. 1977 The first Computed Tomography (CT) Scanner in Fairfield County is installed at Greenwich Hospital. The scanner performs swift cross-sectional diagnostic images and adds a vital new dimension to the diagnostic capability at the hospital. 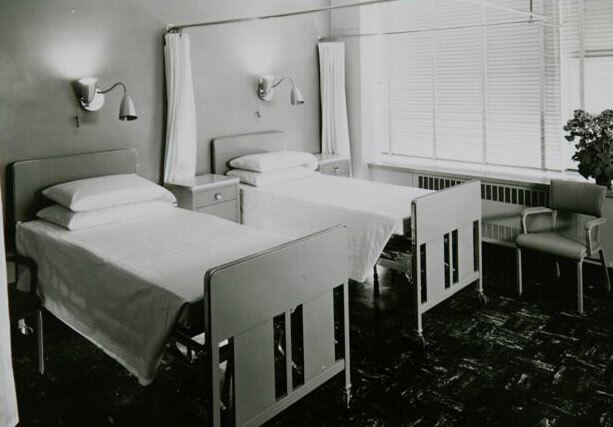 1981 Greenwich Hospital becomes one of the first in Connecticut to introduce the birthing room in response to prospective parents’ wishes for labor and delivery in a less clinical setting. This radical new feature is the vanguard of a new approach to maternity and childbirth and one of the most significant healthcare trends of the late 20th century. 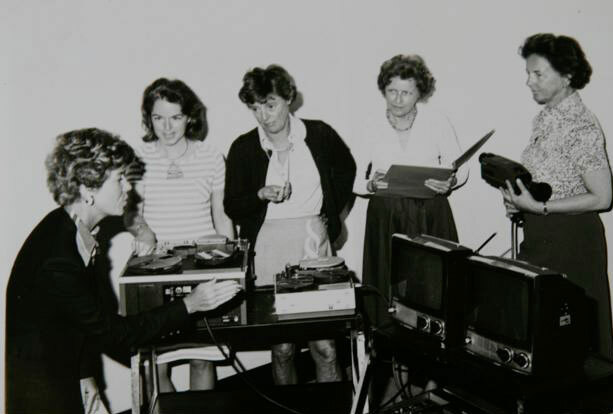 1983 Greenwich Hospital is the first community hospital in Connecticut to acquire a 9800 Computed Tomography Whole Body Scanner. The new scanner combines an advanced x-ray scanning system and microcomputer to pinpoint the precise locations of disease and abnormalities deep within the body. 1984 Greenwich Hospital installs the state’s first Neodymium Yttrium-aluminum-garnet (YAG) laser. An alternative to major surgery, this laser is able to destroy polyps, seal bleeding vessels and remove obstructing tumors. 1988 The New England Headache Treatment Program, one of only four such programs in the country, is established at Greenwich Hospital to provide comprehensive treatment and support for chronic and acute headaches sufferers. 1990 Greenwich Hospital becomes the first hospital in Fairfield County to establish a “clean air” environment by going smoke free. A leader in the use of laser technology, Greenwich Hospital establishes The New England Laser Center and is the first hospital in Fairfield County to acquire a lithotripter laser for the fragmentation of kidney stones. 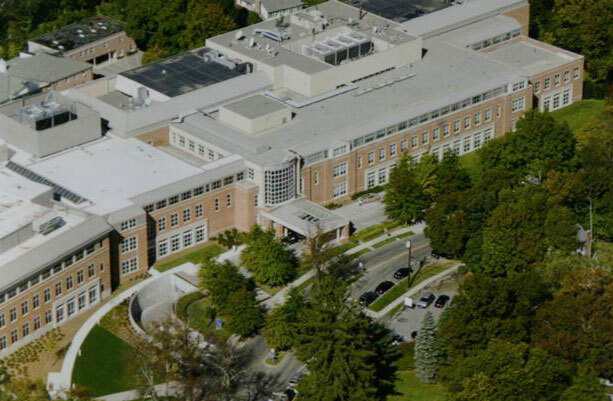 The Connecticut Eye Bank is established at Greenwich Hospital as the only satellite in the state to complement the Eye Bank in New Britain Hospital. 1991 Greenwich Hospital is first in the state and one of the first hospitals in the country to offer stereotaxic mammography, a state-of-the-art diagnostic procedure that permits doctors to perform non-surgical biopsies on breast masses. 1992 Due to the requirements for new services and changing community needs, Greenwich Hospital launches a $60 million capital campaign for a new building. With the opening of the Leona and Harry B. Helmsley Medical building in 1999, and the Thomas and Olive C. Watson Pavilion in 2006, Greenwich Hospital enters a new era of caring and service. 1996 Greenwich Hospital becomes the first hospital in Connecticut equipped with a Pinnacle 3-D treatment planning system, which transforms two-dimensional CAT scan X-rays of tumors into three-dimensional images thus allowing the delivery of radiation pinpointed to the exact area of malignancy. 1997 Stereotactic radiosurgery, a procedure that may save lives and reduce side effects from treatment for brain cancer and that is available at only 200 hospitals worldwide, is added to cancer services at Greenwich Hospital. 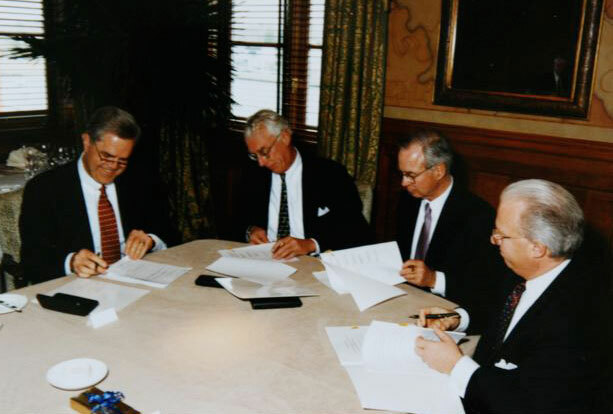 1998 To stay competitive in a changing healthcare market, Greenwich Hospital affiliates with the Yale New Haven Health System. Greenwich becomes a regional teaching hospital allied with the Yale University School of Medicine and representing all medical specialties. 1999 Greenwich Hospital opens the first and only comprehensive adolescent medicine program in Fairfield County to meet the broad medical and mental needs of young people aged 12 to 22. A board certified adolescent specialist along with a professional team that includes a nutritionist, nurse practitioner, and psychologist provide a multi-disciplinary program for teenagers. 2004 An Acute Care for the Elderly (ACE) Unit, the first in Fairfield County and one of only two in Connecticut to serve hospitalized patients meeting certain age criteria or having age-related medical issues, opens at Greenwich Hospital. 2006 Greenwich Hospital is first hospital in Fairfield County to offer diagnostic imaging with a Lightspeed VCT (volume computed tomography) 64-slice scanner. With the ability to produce detailed images of the body in seconds, this scanner expands the non-invasive cardiovascular and neurological imaging services offered by the hospital. 2007 Greenwich Hospital becomes one of the first hospitals in Connecticut to acquire the da Vinci surgical system. The system enables surgeons to use advanced robotic technology to perform minimally invasive surgery with nerve-sparing precision. The American Geriatrics Society’s first “Excellence in Geriatrics” award is given to Greenwich Hospital for its wide range of programs for older adults and their families. 2008 Greenwich Hospital becomes the only medical facility in Connecticut and Westchester County to offer patients endobronchial ultrasound (EBUS), a less invasive procedure for the diagnosis and staging of lung cancer. 2010 Greenwich Hospital’s Bendheim Cancer Center is given an Outstanding Achievement Award for excellence in patient care from the American College of Surgeon’s Commission on Cancer. The hospital is one of only three institutions in Connecticut to receive the award established to recognize programs that provide the best in cancer care. 2011 The Spine Institute and The Center for Joint Replacement receive the Joint Commission’s “Gold Seal of Approval” for excellence in spinal fusion and total hip and knee replacement surgery. Greenwich Hospital is the first hospital in Connecticut and one of the first six in the nation to achieve certification. 2012 Greenwich is the first hospital in the state to employ the ViOptix technology to measure local tissue oxygen saturation during and after surgery. Use of this system can reduce the risk of complications and further surgeries. 2013 The Greenwich Hospital Campus of Yale New Haven’s Smilow Cancer Hospital opens, heralding a new era in cancer care that expands treatment options for patients and strengthens collaboration among physicians allowing leading oncologists and specialists from Greenwich Hospital to work collaboratively with Yale Cancer Center specialists in the Bendheim Cancer Center’s advanced and newly renovated facilities. Greenwich becomes the only hospital in the New York City, Westchester, and Fairfield counties to offer Xofigo, commonly referred to as Radium 223, a new radiation oncology therapy for patients with stage 4 hormone-refractory prostate cancer (HRPC). 2014 To improve the patient experience, Greenwich Hospital becomes the only hospital in the Northeast to offer "FamilyTouch," a communications service allowing ambulatory surgery patients to keep loved ones updated on their status via secure, one-way text messages from the patient healthcare team. 2015 Greenwich is the first hospital in Connecticut to introduce "Kisses," a new security initiative in the Labor and Delivery Department that adds an extra layer of protection for new mothers and their babies. The Kisses band is a special sensor worn on the wrist of the new mother that works in tandem with the Hugs security band placed on her newborn's ankle and linked to the department's monitoring system. Greenwich becomes the first hospital in Connecticut to treat a patient with intraoperative radiation therapy (IORT) which delivers a concentrated dose of radiation to a tumor during surgery while sparing normal surrounding tissue.